Rick Van Zijl founded RVZ Strategic Advisors in 2012 where he has advised on corporate finance and credit matters in the Insurance, Specialty Finance and FIG Tech Industries. Prior to founding RVZ Strategic Advisors, Mr. Van Zijl was a managing director with Fortress Investment Group's Special Opportunity Fund focusing on the firm's mid cap private equity initiatives in the Insurance, Specialty Finance and Telco Infrastructure Industries. Before joining Fortress in 2010, Mr. Van Zijl was the founder and Head of Leveraged Finance for the Americas with Barclay's Capital building the business into a team of 200 professionals across 10 business units and responsible for over $12 Billion of risk capital. Mr. Van Zijl chaired the Americas Credit Committee and was a member of the Global Investment Committee. From 1998-2006, Mr. Van Zijl was a Managing Director in investment banking at Goldman Sachs advising the firm's corporate and financial sponsor clientele on their most important acquisition financing and restructuring advisory needs. 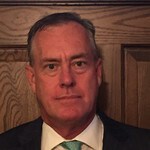 Prior to Goldman Sachs, Mr. Van Zijl held the position of Vice President in the financial sponsors group at the former Chase Securities and at the former CS First Boston. Mr. Van Zijl started his career as a generalist banker with the former NationsBank where he covered the bank's Insurance and Financial Sponsor Clientele. Rick has a B.S. in Finance & Economics from Florida State University and a MBA in Finance, with honors, from Columbia University.